A canal hotel Venice Italy. I thought there is no problem to book a canal hotel and to choose from. But I was wrong. My search for a nice canal hotel was more difficult than I thought. Which hotel do you choose from my list? There are plenty of hotels facing the Grand Canal. No. 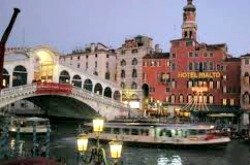 1: 4 star Hotel Rialto is located next to Rialto Bridge. It has traditionally decorated Venetian rooms. The location is ideal, the water bus stops right in front of this canal hotel. Piazza San Marco is 656 yards away. Great view, at least when you book a more expensive room overlooking the Grand Canal. No. 2: Venice, its canals… and its Canal Grande Hotel What do you think about this 4 star Canal hotel? It has its name… ‘Canal Grande Hotel’. Just renovated in its 18th century Venetian style. 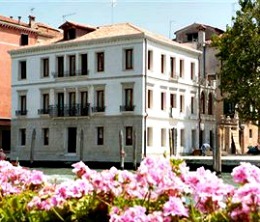 This hotel is facing the Grand Canal, located in a small aristocratic residence in a central location in Venice. No. 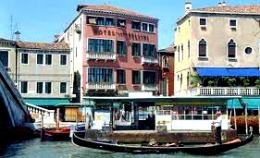 3: Canal hotel Venice ‘Boscolo Bellini’ is a perfect hotel in a perfect location, very helpful reception! I had a spacious newly renovated rooms, brand new. 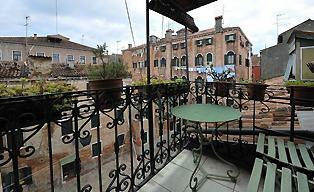 Boscolo Bellini is located in a historic building near Cannareggio in a former noble residential. My own interest was focused on the antique furniture and marble bathrooms. Very nice! Some rooms overlook the Grand Canal. Tip! : Do you want to know where to sleep cheap? Venice Italy is one of the most expensive cities in Europe. You've read about my favorite canal hotels in Venice. There is plenty to explore as you see. Discover Venice on my site and get more information about this beautiful Italian city.